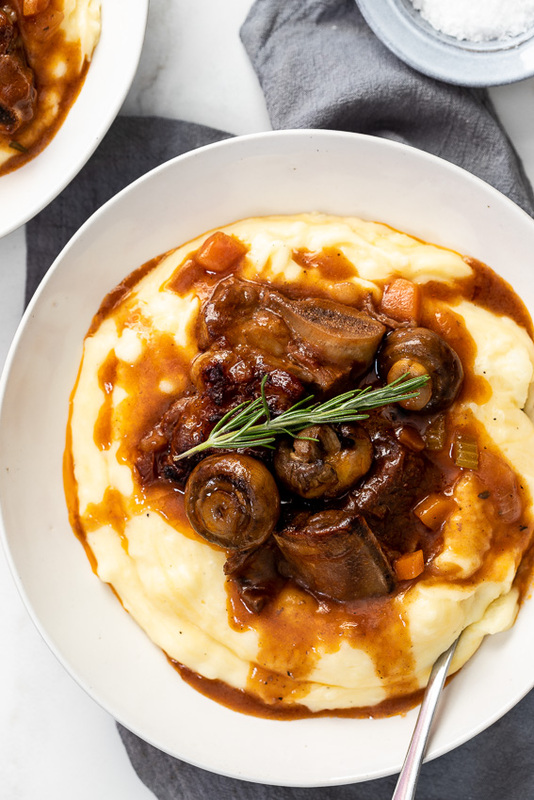 Slow braised beef short ribs in a rich gravy with mushrooms and herbs served with cheesy mash is the ultimate comfort food and perfect to make ahead. 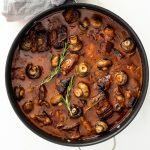 There is just nothing better than a big pot filled with soft, unctuous short ribs braised in a rich red wine sauce flavored with herbs and mushrooms. Except maybe if the braised beef short ribs are served on the cheesiest mashed potatoes ever. 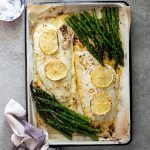 This is definitely one of the most delicious meals you can make at home and is perfect for making ahead. Braised beef short ribs work perfectly when braising low and slow in the oven but are equally good when cooked in a slow cooker or done in an Instant Pot/pressure cooker. I’ve tested this recipe all 3 ways and the end result is always delicious. Oven-braising is my preferred method because the cooking liquid cooks down into a rich, reduced sauce. 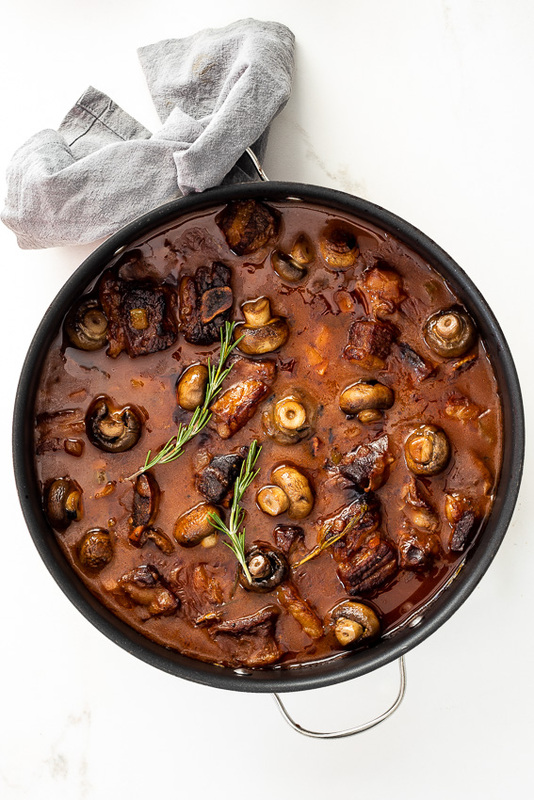 If using a pressure cooker, cook the beef short ribs until tender (around 30-35 minutes) then add the mushrooms and allow the sauce to simmer down for +-20 minutes. I would add the flour mixed with a little water or stock with the mushrooms to thicken as the flour can cause the Instant Pot/pressure cooker to burn at the bottom. Brown beef short ribs in a large oven-proof pot on all sides. Remove then sauté onions, carrots and celery until soft and translucent. Add the garlic and herbs and cook for another minute then add flour to thicken (optional) the finished sauce. Add the short ribs back to the pot then add the tomatoes, stock and wine and allow to come to a simmer. Place in the oven and allow to braise for 3 hours or until the ribs are soft. Remove from the oven and add the mushrooms and season to taste then allow to braise for another 20 minutes. Serve with cheesy mash or side dish of your choice. How long does it take to braise short ribs? Oven-braised, short ribs take around 3-4 hours to soften in a 160ºC/320ºF oven, depending on their size. The beef short ribs should be fork tender without the fat rendering out completely as this can result in the sauce being very greasy. Check ribs after 2 hours of cooking to check tenderness. In a slow cooker, the beef short ribs will cook in 6-8 hours if cooking on low and in a pressure cooker/instant pot, around 35 minutes. 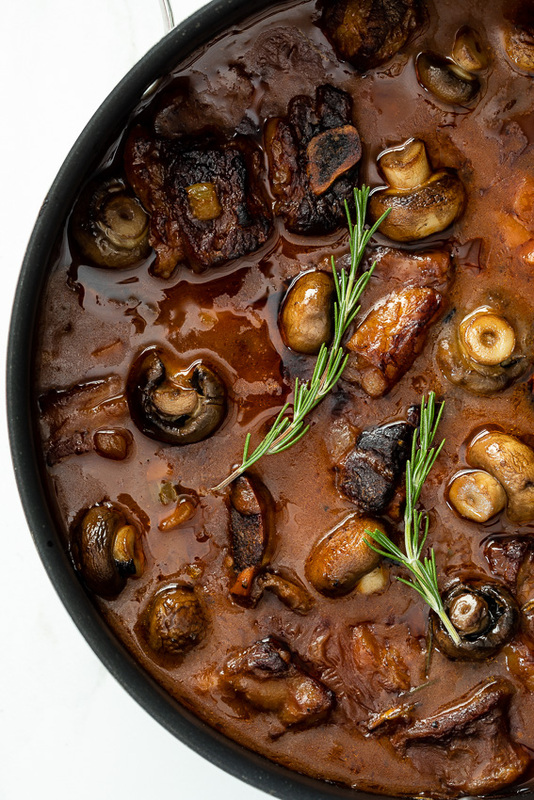 What is a good red wine for braising? Any red wine that is full bodied and full of flavor will work well. Merlot, Cabernet Sauvignon, Pinotage, Pinot Noir and Shiraz are all excellent choices. 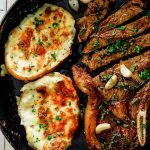 What sides go well with short ribs? Season the short ribs generously. In a large, oven-proof lidded pot, heat a splash of olive oil then sear the beef ribs until well-browned on all sides. Remove from the pot and set aside. Add the onions, carrots and celery and cook until soft and translucent. Add the garlic and herbs then cook for another 30 seconds before adding the flour. Stir to coat the vegetables in the flour then add the wine and stock. Allow to come to a simmer then add the tomatoes and beef short ribs back to the pot. Season well then cover and place in the oven. Allow to braise for 2-3 hours or until the ribs are soft. Add the mushrooms and braise for another 20 minutes. Adjust seasoning and serve. To make the cheesy mashed potatoes, Cook the potatoes in a large pot of salted water until they can easily be pierced with a sharp knife. Mash the potatoes with the butter and milk then add the cheese and season to taste. 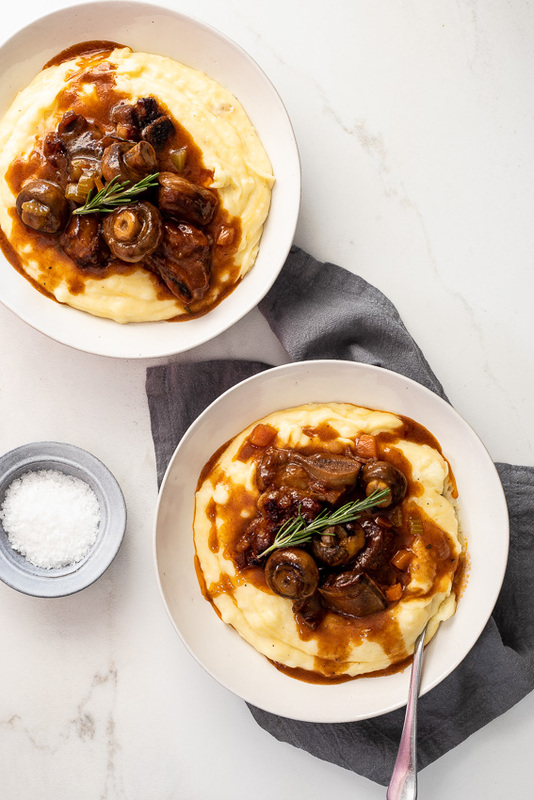 Serve cheesy mash with braised short ribs. Where is your receip forcheesy mash? You’ll see the recipe and instructions in the recipe box at the bottom of the post. Nothing better for sure Alida! 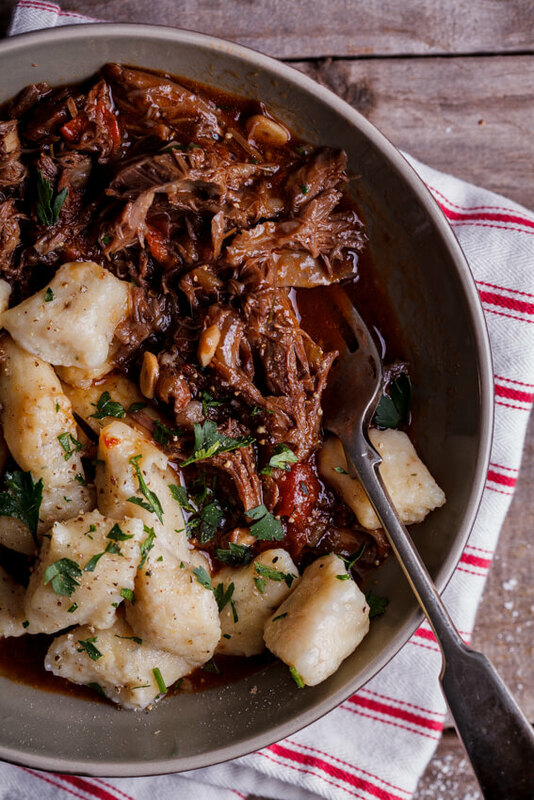 Braised short ribs is one of our favorite comfort food dishes! Just perfect for these cold, wintry nights!